Error coins are something that a lot of readers here at The Fun Times Guide to Coins ask about in the comments section. I’ve seen many people post photos of real error coins that they’ve found in their pocket change, and it’s always exciting for me to tell them that they’ve found a rare, valuable, or unique error coin. Many times, though, I have the unfortunate duty to tell some readers that their “error” coins are really just damaged, altered, or simply normal. I’m going to share with you below some of the most common types of error coins people often ask me about (or coins that some people think are errors) so you can find out if you indeed have a real error coin… or not. This is one of the most common error coins people ask me about. 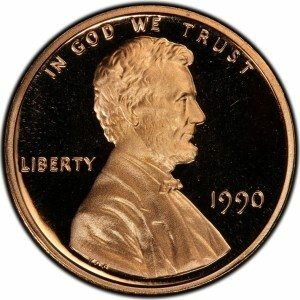 They found a 1990 penny without a mintmark and, understandably, think they have 1 of the 200 or so 1990 no-S Lincoln cents worth between $1,500 and $3,000. However, the 1990 no-S Lincoln Memorial penny is a die variety unique only to proof Lincoln cents from that year. 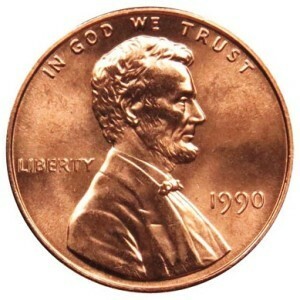 99.9 percent of the 1990 Lincoln pennies with no “S” mintmark are actually regular 1990 pennies made at the Philadelphia Mint, which struck more tha target=”_blank”n 6 billion one-cent coins that year. If you have a coin that looks like the bottom coin, it’s worth face value. A lot of people post photos of coins that they think are doubled dies. Some of them are, but most of them aren’t. Determining a doubled die coin versus one that isn’t is rather difficult. You see, every doubled die coin has its own diagnostics (things that a coin collector will look for to ensure whether or not a coin is in fact a doubled die). The die is imprinted by a machine called a hub. When the hub creates a secondary, misaligned image on the coin, that’s when a doubled die coin is created. 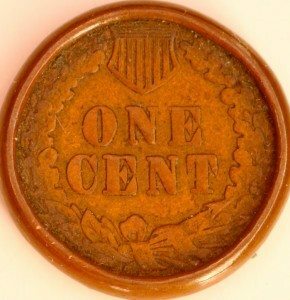 This doubled die will then strike out potentially hundreds, even thousands, of doubled die coins — such is the case with the 1955 doubled die penny. 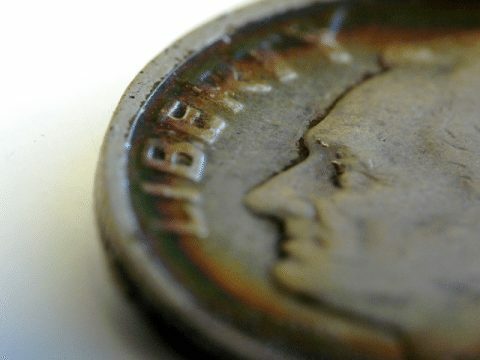 Some coin analysts think 20,000 of these 1955 doubled die pennies were made. Machine doubling occurs when the die that strikes a coin reverberates off the coin twice (or more times). This usually creates a stair-like secondary image of some or all of the details on a coin. Have you found any coins with bubbles in them? 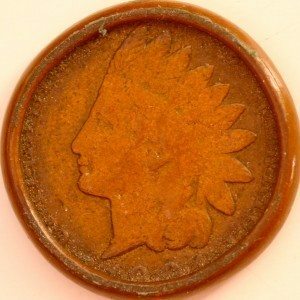 I’ve found coins like this, and so have many readers here at The Fun Times Guide. These bubbled coins are usually dimes or quarters, but they might also be half dollars or one dollar coins. In virtually all cases, the bubble coins were made since 1965. What’s going on? What’s a coin with a bubble worth? When a copper-nickel clad coin is exposed to extreme heat — such as fire — the layers of metal cladding begin to expand and separate, thus causing the bubbles. Such coins are worth face value. On post-1981 zinc Lincoln cents, or so-called Zincoln pennies, tiny bubbles are called plating blisters. They’re caused by gas bubbles that were trapped between the coin’s zinc core and copper plating. These are generally not worth anything unless the bubbles are particularly large. 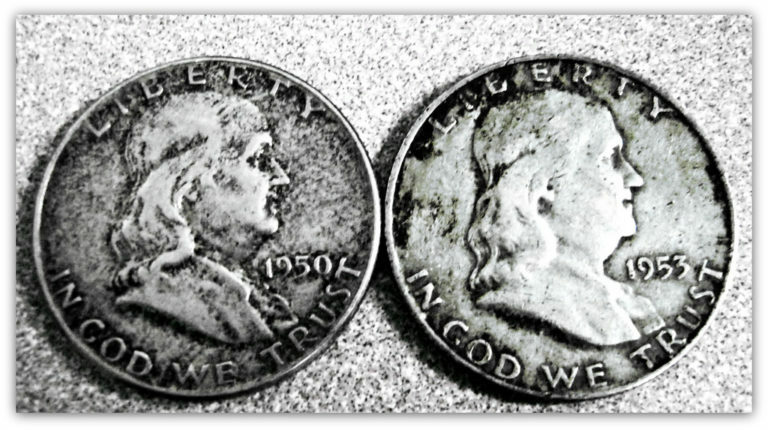 A Washington quarter with 2 heads — 1 dated 1986, the other 1993. I’ve gotten so many questions about coins like these. Apparently there are a lot of altered coins out there. And that’s just it. Virtually any 2-headed coin you’ll find is altered. While anything is possible — given the mechanics of how modern-day coins are produced — it’s virtually impossible that a 2-headed coin can be made. If you see any coin that has 2 heads but different dates on either side of the coin, you can automatically rule it out as a magician’s coin. Such coins have no numismatic value. Red coins, orange coins, purple coins, blue. I’ve seen many of these, how about you? Sorry, sorry — I’m a writer, but I’m not the best poet. But, what is true is this: people are always asking me about colorized coins and what their values are. The answer: these aren’t error coins. And if they’re U.S. coins, they’re worth either face value or bullion melt value. 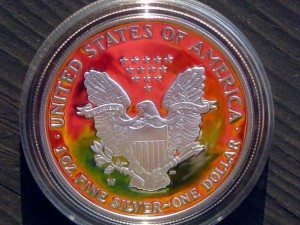 The U.S. Mint doesn’t make colored coins. In fact, any colorized U.S. coins that you see have been altered by somebody outside of the Mint. Sometimes, the colorized additions are rather artful — such as the painted American Silver Eagles that one infomercial pitched on TV several years ago. Often, the coin was painted one single color — such as the blue quarter I found in pocket change 20 years ago. At any rate, these coins might catch the eye, but they aren’t numismatically valuable. An important note about colorized coins: some nations (including Canada) have issued colored coins. These are generally common and some have been issued for circulation — meaning such pieces are often worth face value if worn. A lot of people want to know what their “rare” gold penny is worth. Unfortunately, it’s worth just a penny. 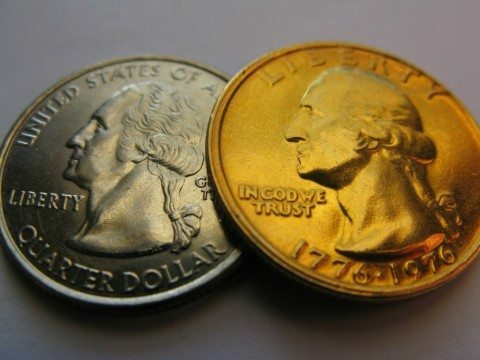 Many people have posted photos of gold-plated coins that they “heard” were rare, one-of-a-kind, or some type of mistake. I’ve even found some gold-plated coins in my pocket change. While these coins make great keepsakes, they are not rare and they certainly weren’t made by the U.S. Mint. These gold coins are ordinary U.S. Mint coins that private individuals (or, sometimes, novelty coin companies) alter with a layer of gold plating. You’d think a gold-plated coin would be worth a bundle. After all, it’s covered with gold, right? Amazingly, most gold-plated coins contain no more than 2 or 3 cents’ worth of the yellow metal. In essence, the coin is worth face value. 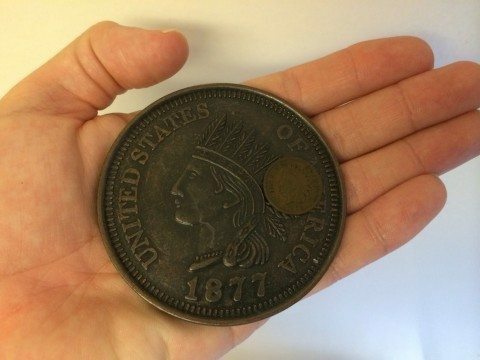 If you’re lucky, you may find a coin dealer willing to pay a few cents over face value — as sometimes these coins sell well as novelty pieces. I’ve come across a lot of people who tell me they found a tiny Lincoln cent, gigantic Indian Head penny, or some other common coin of quite uncommon size. They’re replica tokens. And some of them are actually quite convincing — if not for their size, that is. These artful reproductions are normally sold at tourist gift shops, toy stores, and other novelty establishments. While they don’t have any numismatic value, they are collectible as exonumia, and some of these tiny coins and large coins are worth a dollar or so. A common question I’m asked is whether or not a coin that has an usually tall or thick rim is an error coin. The answer I give if the reader doesn’t submit a photo of the coin is that, yes, it’s possible the coin is an error. Broadstrikes, capped dies, and die caps are common examples of error coins with odd-looking rims. This is an example of a coin whose edge was pushed or rolled inward due to centrifugal force. Most likely the coin was spun in a machine — quite possibly a clothes dryer. These aren’t error coins, and they aren’t rare. From the numismatic perspective, such coins are regarded as damaged. The value for, say, an Indian Head penny such as this might be 10 or 20 cents because the coin is so old. But more recent coins may not even be redeemable for face value. A few readers have submitted photos of dimes and quarters with smooth edges. Of course, as you may know, dimes and quarters are supposed to have what we coin collectors call edge reeding — those tiny, raised lines on the edges of some coins. Reeded edges are supposed to make coins easier to grab and allow blind people to more easily differentiate coins. Many readers want to know if dimes and quarters without the reeded edge is some type of error. 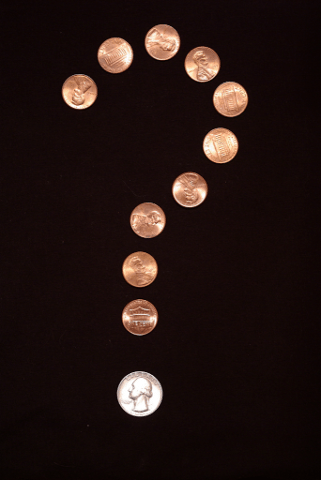 The basic answer is “no.” Really old dimes and quarters — ones that have been circulating for a good 30 or 40 years — tend to lose their reeded edges due to wear. Think of all the hands, transactions, and vending machines an old dime or quarter will have seen after 3 or 4 decades. Years of handling wears down the edges of these coins, and thus they often have smooth edges. Sometimes, dimes and quarters (and other coins with reeded edges) lose their grooves due to being tossed around on their edges in a laundry dryer. In all cases, these coins are worth face value. Bizarre Error Coin: A Dime Struck Onto A Nail!